By, Roger Sowebutts, VP EMEA. Originally published on LinkedIn. Over the course of my career working in the technology industry, I spend a lot of my time talking to IT retail specialists around the world. And what’s fascinating is the similarity of challenges and opportunities they identify. Pretty much all of them want to bring their branch IT estate under control today to save time, costs, and sleepless nights. But they also want a branch IT environment that sets them up for the future, and in particular prepares them for the emerging world of omni-channel retailing. Consumers now have access to computing power that is comparable to what was only previously available to enterprises at a high cost. And with this, access to information, and more importantly your competitors’ information, is only a few clicks away. What this has resulted in today, is what we know as Omni-channel retail, where customers now have the choice of not only who to buy from, but how and where. In retail IT, the typical IT scenario is that of a large IT estate, and in some instances spread across a vast geographical region. As the IT leader for your organisation you may find that maintaining your in-store IT is getting too costly and too complex. Each store has multiple servers, each with their own management system, and they all need to be kept up to date and secure by your overstretched central IT team. You’ve considered upgrading your in-store IT, either by buying new servers or moving to the cloud, but you’ve been discouraged because of potential disruption to the business, and the cost involved. The issues you face are that each of your stores needs more and more IT, to the point where you potentially have a small server farm at the back of each store. If it grows any bigger, a separate comms room will be needed to keep it in, which just isn’t cost effective. In addition, back-up is haphazard and uncoordinated, security updates are difficult, manual updating of multiple servers leads to errors and downtime, and the IT team is forever travelling to branches to fix simple problems. This scenario no longer needs to be the norm. Retailers such as Made.com and The COOP are future-proofing their business IT by adopting new technology models that support both the on-site technology needs of their showrooms & offices, as well as benefiting from Cloud based technology. All this is simply down to Cloud Managed Servers. What do Cloud Managed Servers mean to your retail operations? Your stores can now run any and all the applications they need on one virtualized server, reducing real estate and power impacts. Your IT team can monitor and manage most issues without travelling to site, and automated updates and back up have increased security and peace of mind. 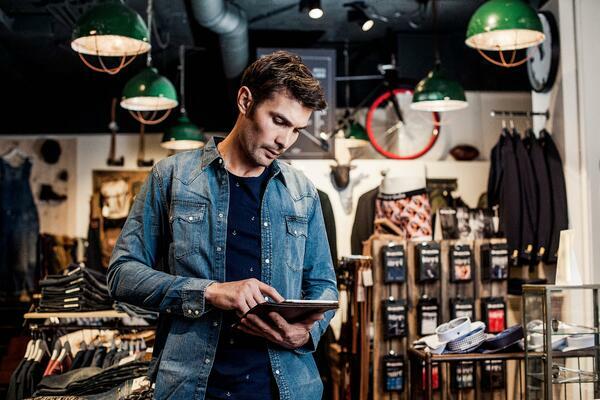 Your IT team is freed up to focus on business IT, not just keeping the in-store IT running. Omni-channel consumers spend 3.5 times more than normal customers. What are you doing about it? Join Clare Rayner, The Retail Champion, and myself at a breakfast briefing hosted by Zynstra on 8th. November at the Hallam Conference Centre, London W1, where we will be discussing the future of retail branch IT. You can register your space now.